Tagged under Full Moon wo Sagashite, Black Hair, Blue Eyes, Shinigami, Ponytail, Husbando, Short Hair. 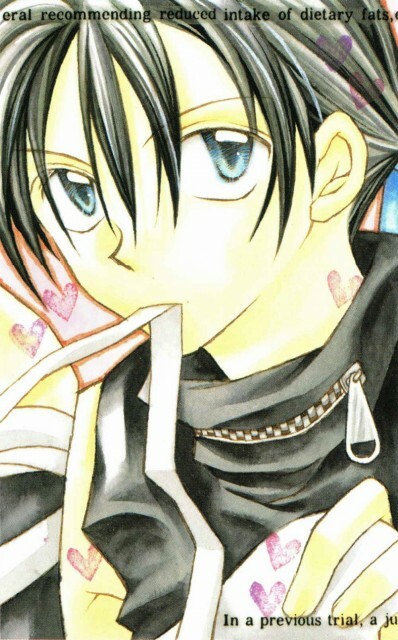 Takuto is Meroko's partner and trainee shinigami. 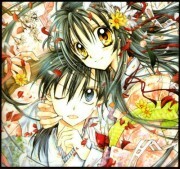 Along with Meroko, he is assigned to take Mitsuki's soul. His shinigami costume is a cat outfit plus a backpack with wings because, unlike Meroko, he is not a full-fledged shinigami and therefore cannot fly. Note: Takuto often transforms into an anthropomorphic stuffed cat toy.